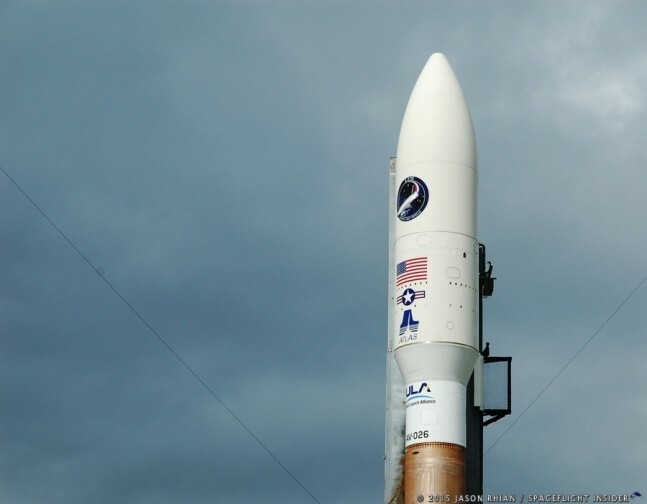 United Launch Alliance (ULA ) has announced the postponement of the Air Force Space Command mission, AFSPC-5. The current schedule puts the launch at taking place no earlier than May 20, 2015. ULA has stated that the delay was caused so as to accommodate a spacecraft issue that was encountered with the mission’s U.S. Air Force X-37B mini shuttle. The AFSPC-5 is the next scheduled flight of the Orbital Test Vehicle (OTV), also known as the X-37B. A reusable unmanned spaceplane, the OTV has a mass of 11,000 lb (4,990 kg) and a wingspan of just less than 15 feet (4.5 m). Originally designed to be carried aboard NASA’s now-retired Space Shuttle, the vehicle is now boosted to orbit on the ULA Atlas V 501. The exact details of the mission remain classified, which is consistent with all of the OTV flights to date. While little is known about the spacecraft’s operations, the vehicle is capable of long duration missions designed to last 270 days or more. A secondary payload to be flown with the OTV is the Planetary Society-sponsored Light Sail 2. This 3u CubeSat vehicle is flying under the NASA’s Educational Launch of Nanosatellites program. This is a four-week long design test for LightSail’s systems ahead of a full-fledged demonstration to be launched in 2016. LightSail uses the solar wind for its primary propulsion. The Atlas V used on this mission is flying in the 501 configuration. The rocket will launch using no additional solid rocket boosters and will use the 5 meter fairing to protect both OTV and LightSail 2. The rocket will launch from Cape Canaveral Air Force Station’s Space Launch Complex 41 in Florida. Greetings:Apparently this mission is top secret,as stated.Thereby any photos of the plane should not be shown,in my opinion.We show and release entirely too much information,that Red China,Russia or other adversaries would love to have. That’s just my opinion,I do think it’s very foolish.